One glimpse of this gorgeous b-day card and anyone is bound to swoon. The balloon bouquet reinforces the excitement of an upcoming birthday, while the gold, glitter letters add a fun element to this b-day card. 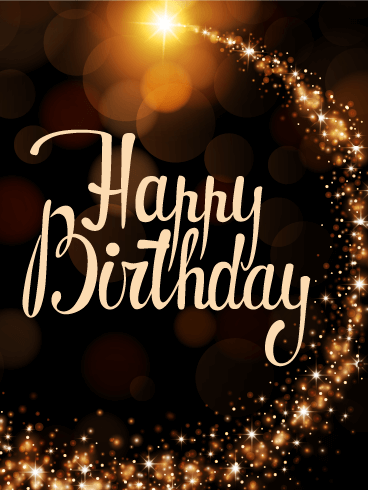 Whether you're searching for the perfect b-day card for your best friend or hoping to find something to send a colleague, this b-day card is a classic, great for any birthday celebration! Fill the air with celebration and cheer! 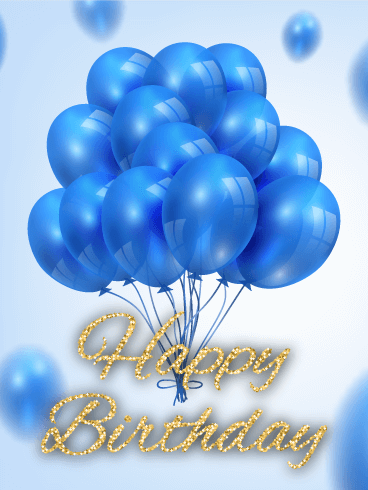 Send a wish for the happiest of birthdays with this balloon-filled birthday card! These large, colorful balloons will decorate the screen and show your friends and family that you are excited for their special day! 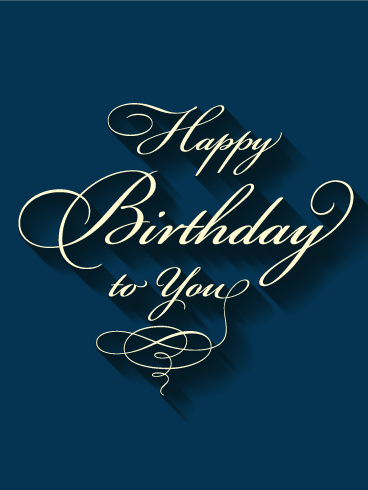 Give a birthday celebration that will last longer than a day and say, "Enjoy your special day!" 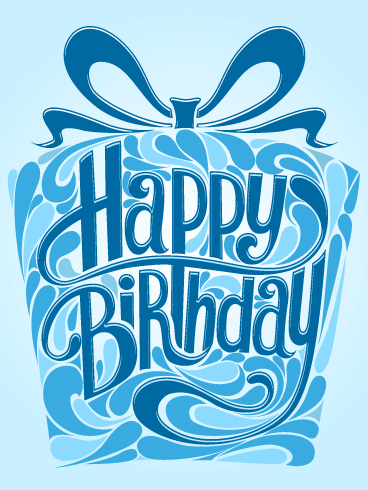 This sleek design and fabulous color scheme is unlike anything you've ever seen on a birthday card before! The dotted design is truly one of a kind, and the shades of gold and white really make it pop. If you're looking for a simple, elegant birthday card to wish someone a happy birthday, this is the one you just have to go with! Although luxury cars are admired by many, only a few can afford to buy them. 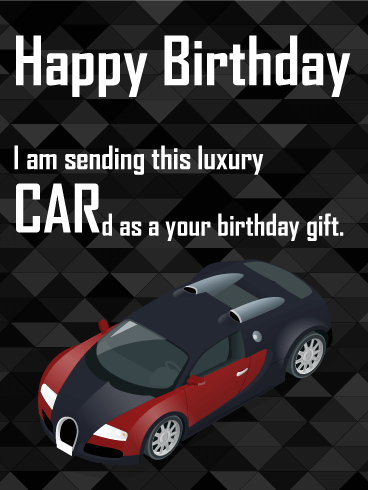 To make your loved one's birthday extra special this year, send the luxury car on this Happy Birthday card! The sleek design and humorous message will be loved and appreciated by any person who receives it. 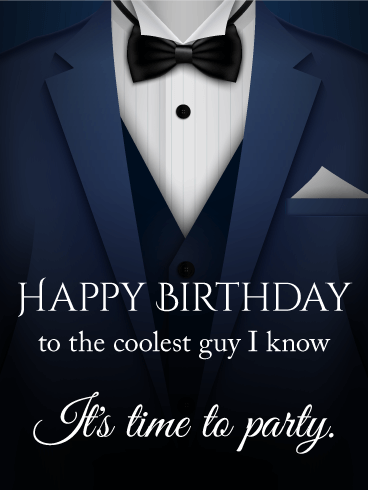 Make this the best birthday ever by sending this "luxury CARd" today! 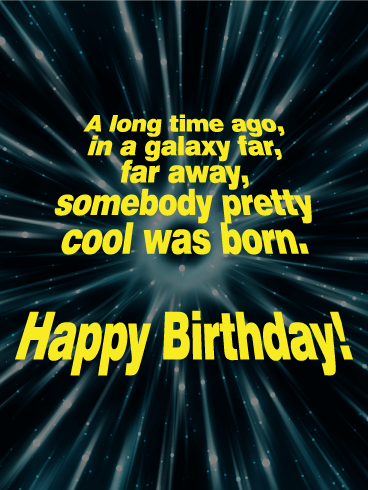 For the jokester in your life, look no further than this hilarious birthday card. Calling them experienced instead of old is bound to get a chuckle, and the picture of the old man with the cane just adds to the humor. The picture is simple but realistic, and the good-hearted humor really sets this birthday card apart from the thousands of other birthday cards out there. 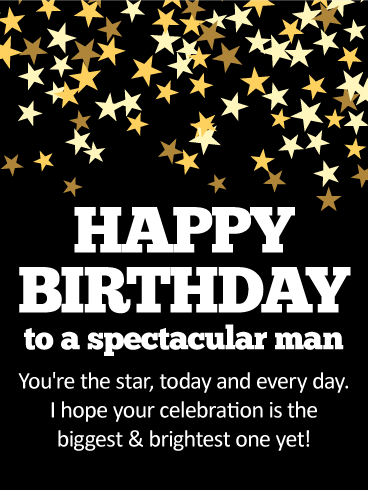 A sleek black background full of gold and metallic stars brings style and sophistication to this birthday card meant for "a spectacular man!" He's someone who shines in every way, always taking the time to be there for others. 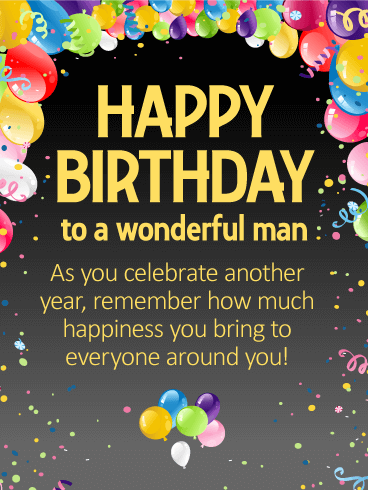 So as he celebrates another year, let him know that you're wishing him "the biggest & brightest" celebration ever! 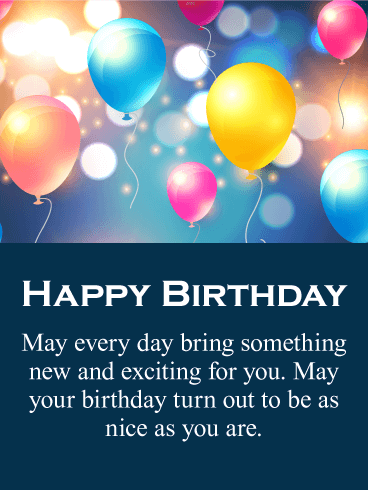 Happy Birthday, it's time to celebrate with a fabulous birthday card! 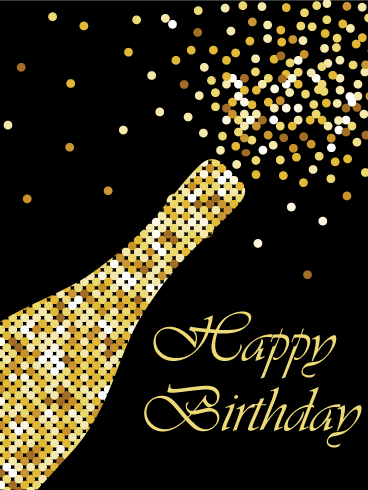 Whether your loved one is turning 21 or 81, birthdays are the best reason to pop a bottle and have a party! The classy gold and black colors on this fun birthday card are joined by sparkling gold and silver glitter, perfect for the classy person in your life! 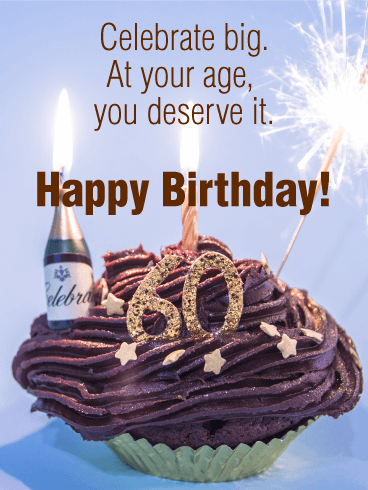 This 60th birthday card sets the scene for a memorable celebration! A birthday cake is topped with a big "60" candle, all lit up, to herald this milestone year in spectacular fashion. Blue and purple lights in the background add to the fun. And your brightest wishes are conveyed in a very special way. What a wonderful greeting to let them know you're thinking of them while reminding them that the best is yet to come! 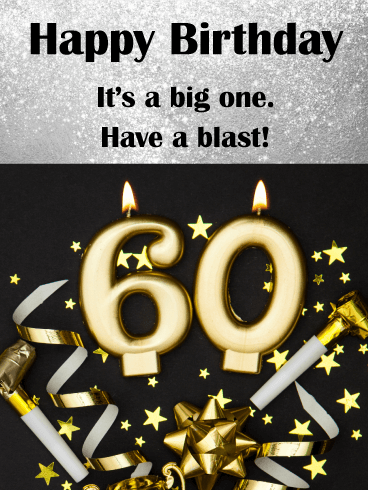 It's not every day they turn 60, so make it memorable with this birthday card for somebody special! A foil wrapped cupcake is loaded with mounds of chocolate frosting, then topped with a candle, stars and a glittery decoration displaying their milestone age. A brilliant sparkler and lit up Champagne bottle add to the celebratory feel, creating the ultimate expression of your wishes as they reach this special time in their life. 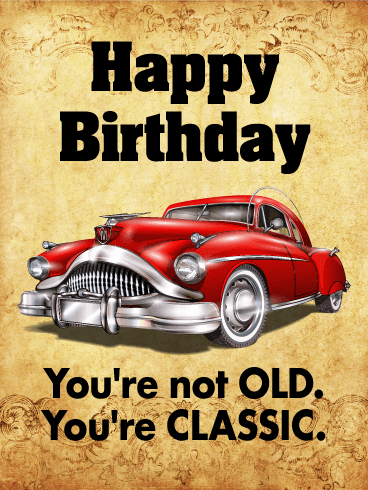 This birthday card is perfect for that special friend or family member in your life who's turning 60! At the top, a sparkling silver background sends your best wishes in style, while reminding them to have a blast. And below is a "6-0" candle burning bright to mark this milestone age. Bursting from a gift box, along with glittering confetti, bows and stars, it's a brilliant way to wish them a happy 60th. 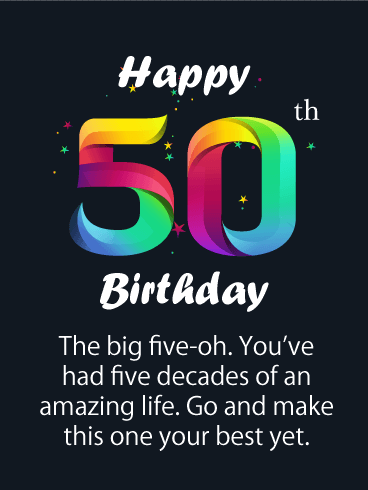 Send colorful and exciting fireworks to someone who is turning 50 this year with a birthday card that has it all! 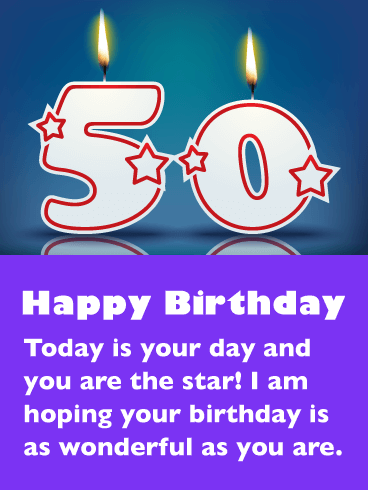 This greeting card was specifically designed for someone who has reached their 50th milestone. It was created with extra excitement and flair so that it perfectly represents the grand occasion that is taking place. 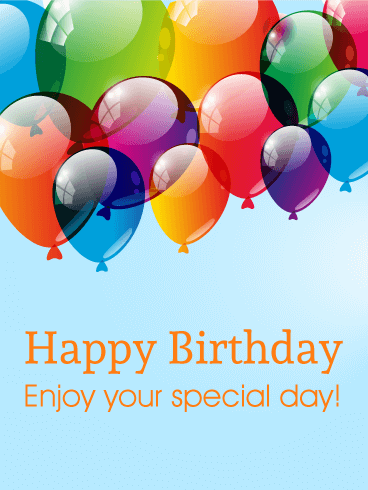 This special birthday card will allow you to wish them a dazzling day and an incredible year! 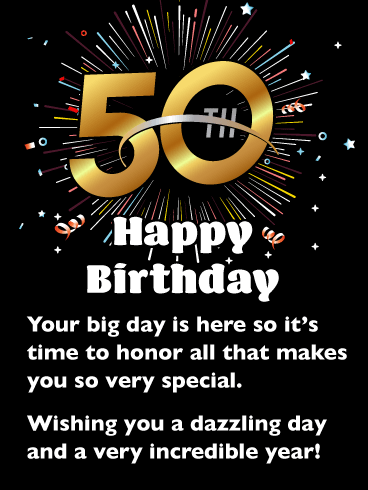 Let someone special to you celebrate in style with this 50th birthday card! 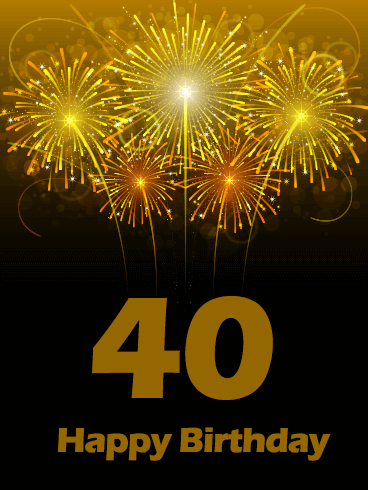 It showcases exciting golden balloons that represent their big milestone! They will appreciate that you took the time to send them a happy birthday card and that you are thinking of them on their big day! 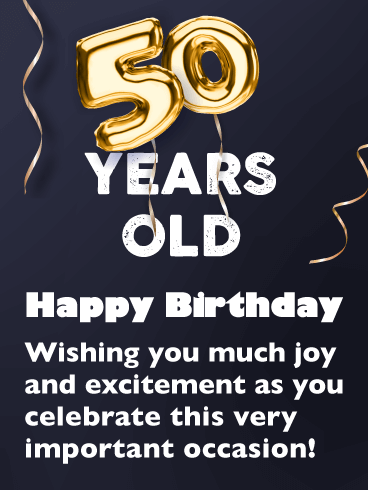 This awesome greeting card will wish them joy and excitement as they are turning 50. Get these balloons and golden ribbons off to them today to make sure they have a great day! 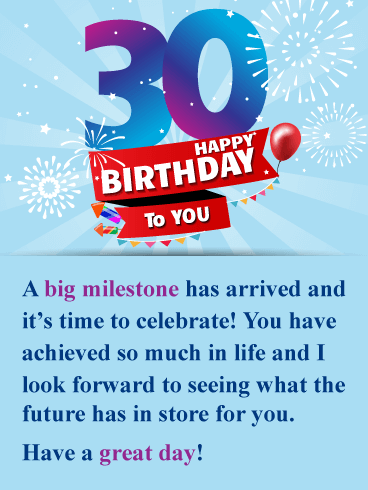 Make someone feel great as they reach their 50th milestone by sending this impressive birthday card their way! It will let them know that they are the star of the day, and this will make them feel extra special. This great birthday card features two candles that come together to create their age! The candles come complete with stars, which is very fitting for the occasion. 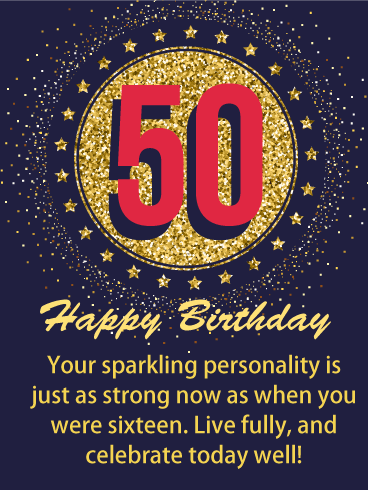 Let someone know that you hope their 50th celebration is as wonderful as they are by getting this birthday card to them today! Fifty is the golden number! Full of experience and adventure, wisdom and promise. This is the year where life begins to turn; when you see the fruits of labor planted years ago and the taste of freedom is on your tongue. 50 is when you start to realize how good life can be. 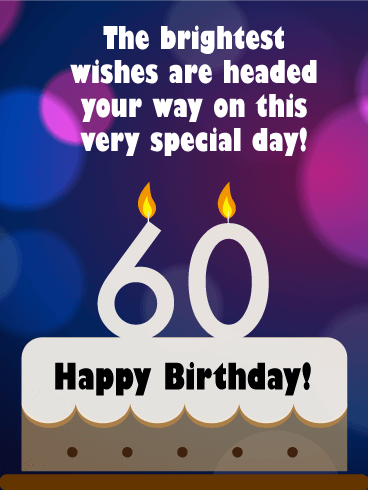 Make the start of their sixth decade specular by giving them this card! 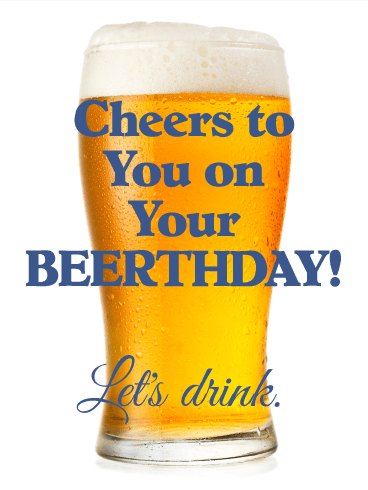 Make this birthday their best one yet! 50 is a grand old time. Money to spend and a healthy body to enjoy it. Friends and family on all sides. Adventures behind you to remember and new ones being planned. 50 is a great time to be alive. 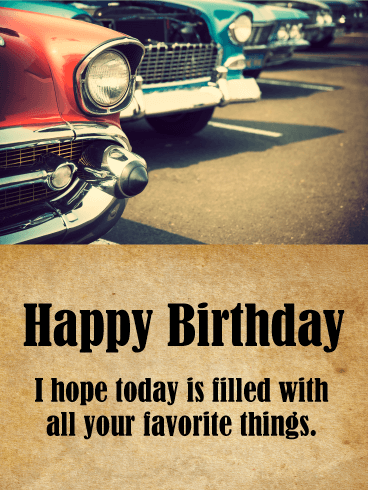 Ensure they have a fabulous day and an amazing year with this birthday card! Turn their 50th birthday into a glittering memory! 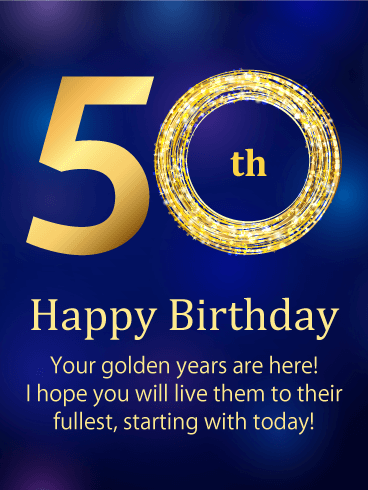 One of life's great milestones, 50 is the golden anniversary of life. It's the culmination of struggles, achievements, and wishes all boiled down into one incredible person. Someone whose life shines bright and will continue to do so. A person you admire. Make their birthday glamorous by celebrating everything they've done! This spectacular birthday card captures the essence of excitement and would be perfect for anyone who is celebrating a 30th birthday! It showcases fireworks bursting around the number 30 and it looks incredible! 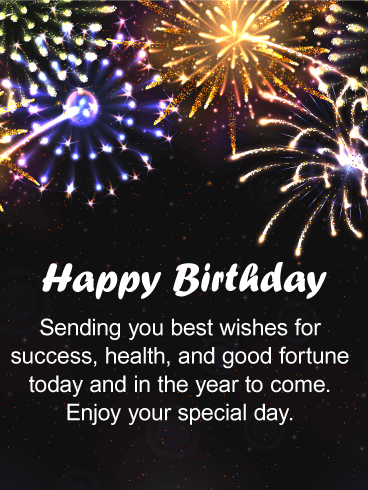 It sits atop a fabulous red banner that says Happy Birthday To You! The message explains that it's time to celebrate and that you would like them to have a great day! 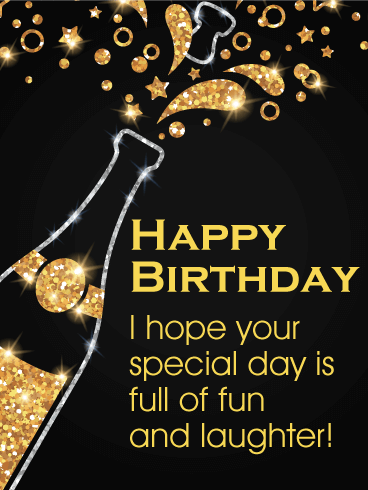 This is a wonderful card that anyone would love to receive! Big milestone birthdays, such as turning 40 years old, deserve the absolute finest birthday card. This exceptional greeting card was designed for someone who expects only the best. It features letters and stars organized perfectly with shimming gold reflections. 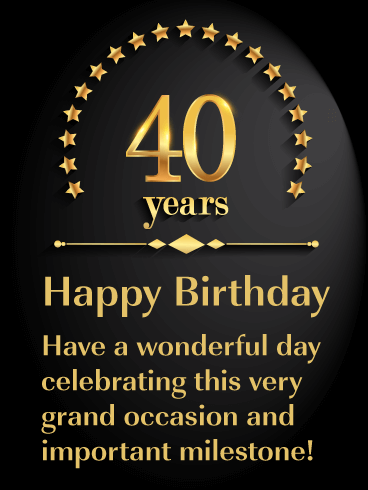 This 40th birthday card will wish the one you care about a memorable day! So send this stylish and sophisticated greeting card over to them for this special occasion right away! Becoming 18 is one of the best and most exciting moments in a person's life. 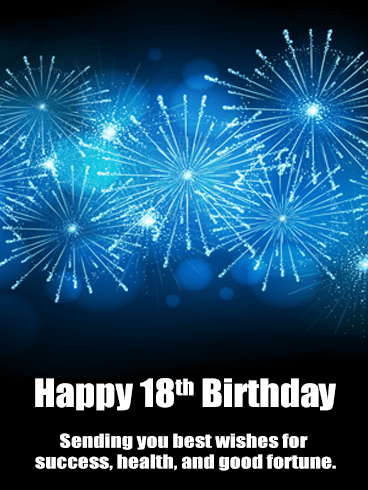 Like all big events, your loved one's 18th birthday deserves a big blue fireworks' celebration. 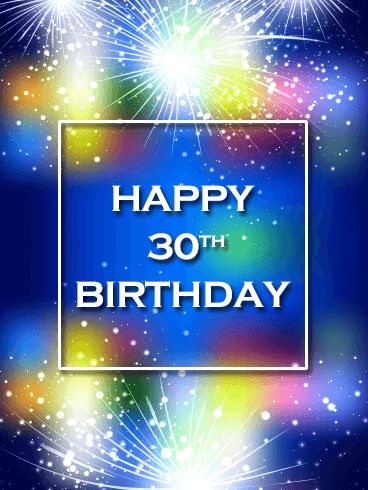 Use the bright lights and fun design on this Happy Birthday card to give them an exciting celebration. Turning 21 is one of the last big milestones in a person's life. This birthday removes the last legal restrictions in life and allows young adults to finally feel like an adult. 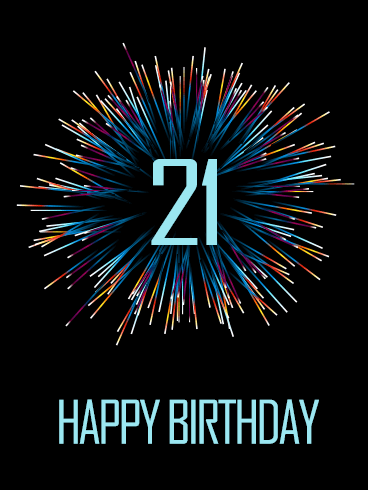 As your friend or family member celebrates their 21st birthday, use this Happy Birthday card to show how excited you are for their special day. Send it today! It's time for a birthday celebration? Way out, dude! Birthday celebrations should always reflect the style and favorites of the person being celebrated, so this psychedelic Happy Birthday card is the best gift for the groovy person in your life. Like the colors in the design, your loved one is someone who brings brightness and excitement to everyone who sees them, so celebrate them with this card today! Fireworks are reserved for the most spectacular parties and celebrations, so the design on this Happy Birthday card is the best way to celebrate your friend or family member on their special day! 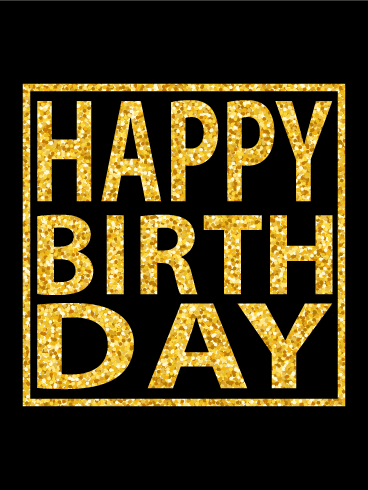 Gold is used for the most important and significant events, so show your loved one how incredible they are with this Happy Birthday card. They deserve the best, so give them a birthday they will always remember! Many people fear turning 40 and believe that entering your forties means that you are old. 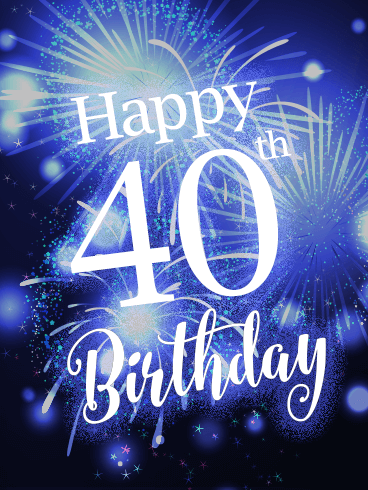 You know that your loved one is only turning 40 years young, so use their birthday this year to celebrate their youth. Use the bright lights and fun design on this Happy Birthday card to give them a celebration that will make them feel young again! Cue the fireworks! 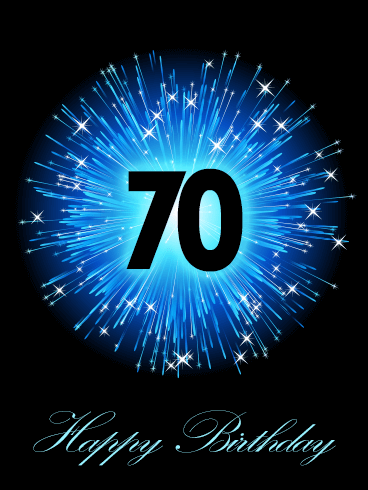 Turning 70 years old is definitely worthy of some celebration! Everything about this birthday card is simply amazing. The different shades of blue keep the design from being boring, while the solid-colored background ensures that it's not too busy. This birthday card has a perfect balance of fun, simplicity, and elegance, sure to make anyone smile on their big day. 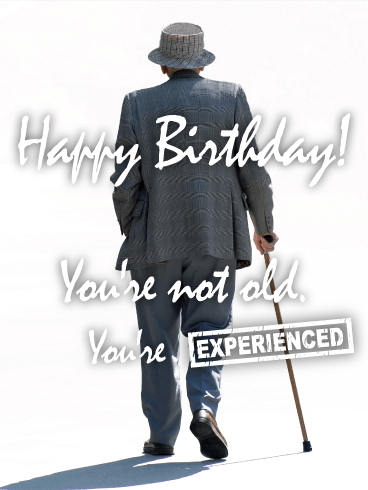 Turning eighty years old is no small feat, and this birthday card is a wonderful way to acknowledge that! 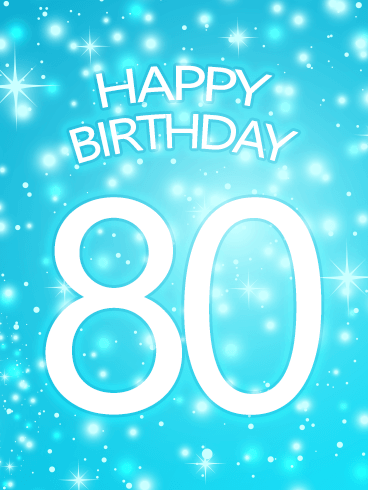 The bright blue background, complete with gradients and faded sparkles, matches the enthusiasm necessary for such an exciting occasion, and the big "80" is sure to get everyone pumped! This is a great choice for the soon-to-be 80-year-old in your life. Wow, it's your birthday? Out of this world, dude! 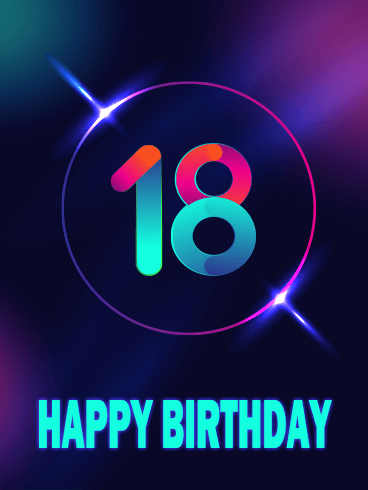 You only turn 18 and reach adulthood once, so it's important to make this birthday memorable, fun, and filled with happiness. 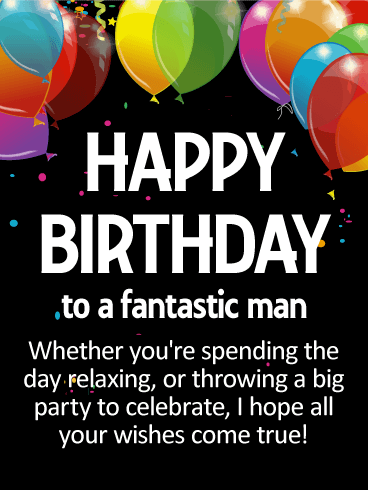 This Happy Birthday card offers a colorful, zany, and unique way to send your "Happy Birthday" wishes for the new adult in your life. 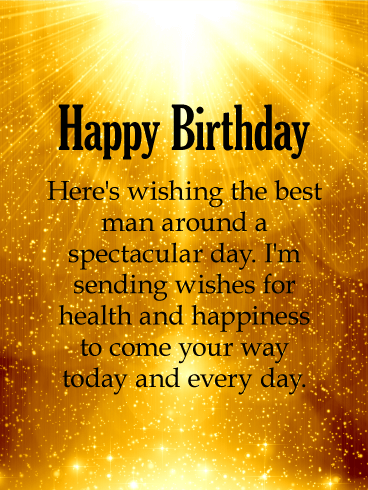 No one deserves a great day more than the birthday boy or girl, so send this birthday card today!